Goosebumps has been scaring and delighting kids of all ages for 30 years. We expect Goosebumps: Haunted Halloween, opening on October 12, to keep that tradition going. 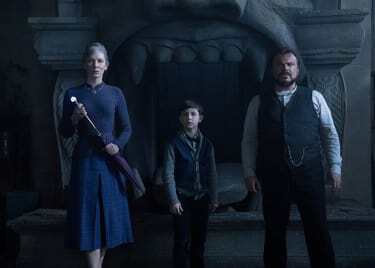 The film promises to further develop a world of spooky horror that is just innocent enough for children while still being fun for all ages. R.L. 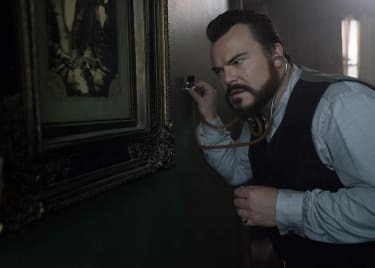 Stine’s series first came to movie theaters in 2015, with Jack Black starring as a fictionalized version of the author. This new film is something a bit different, however. While it is connected to the previous movie, Haunted Halloween is a more straightforward story that plays like a direct adaptation of a Goosbumps novel. Here’s why that’s such a good idea. Stine has unerring instincts about horror that is appropriate for children, while still being scary. His stories always center on kids facing off against monsters and the supernatural. There’s typically a mix of comedy and horror, but the tone never becomes serious enough to truly terrorize readers. And each story’s heroes usually come out on top by the end, even if they make mistakes. Mistakes are certainly made in Haunted Halloween after friends Sonny and Sam (Jeremy Ray Taylor and Caleel Harris) make a strange discovery in an old house. Hidden in a box is the demonic ventriloquist’s dummy Slappy — one of Stine’s classic villains. And so the stage is set for one of the most memorable Halloween nights of the young heroes’ lives. Our favorite stories in childhood shape what we love as adults. Young Goosebumps fans likely grew into horror fanatics. Which doesn’t mean they need gore and violence. The strange fun experienced in Goosebumps is a pleasant respite from the barrage of bad news and challenges of adult life. It’s good to take a break, and Stine’s stories are an ideal vehicle to use as a getaway. Like Stine’s novels, Haunted Halloween should keep things pretty light. Through evil entities like Slappy, as well as devious garden gnomes and abominable snowmen, Stein and those who follow in his footsteps created a scary world without actually highlighting death. So actions have consequences and there’s danger to face, without heavy themes. This new film, directed by Ari Sandel, tackles responsibility in a big way. As Sonny and Sam deal with Slappy’s affect on their town of Wardenclyffe, the characters have to deal with some real life issues, too. It’s a similar formula found in Stine’s books — and why change what works? So as Slappy sets out to bring about a Halloween apocalypse, he puts other monsters to work for him. Fans of the books will be thrilled to encounters an army of man-eating Gummi Bears and a whole host of Halloween decorations come to life. 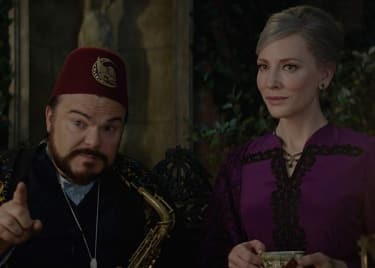 This isn’t the only Goosebumps adventure fans have to look forward to. In 2008, Stine revived the series after a ten-year gap. His HorrorLand books brought the Goosebumps spirit to new audiences, and he gave teen readers new material with the Fear Street books. That franchise is in development as a film series at 20th Century Fox, with Scream TV series director Leigh Janiak currently set to make three movies. 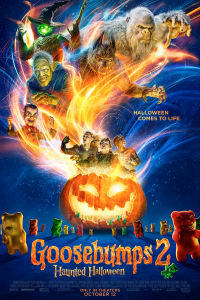 Between that development, the 2015 movie and this new sequel, Goosebumps is finding new fans while maintaining the loyal fanbase which has followed the franchise for decades. Get your tickets now for Goosebumps: Haunted Halloween!